Push the Boat Out Event proves very popular. 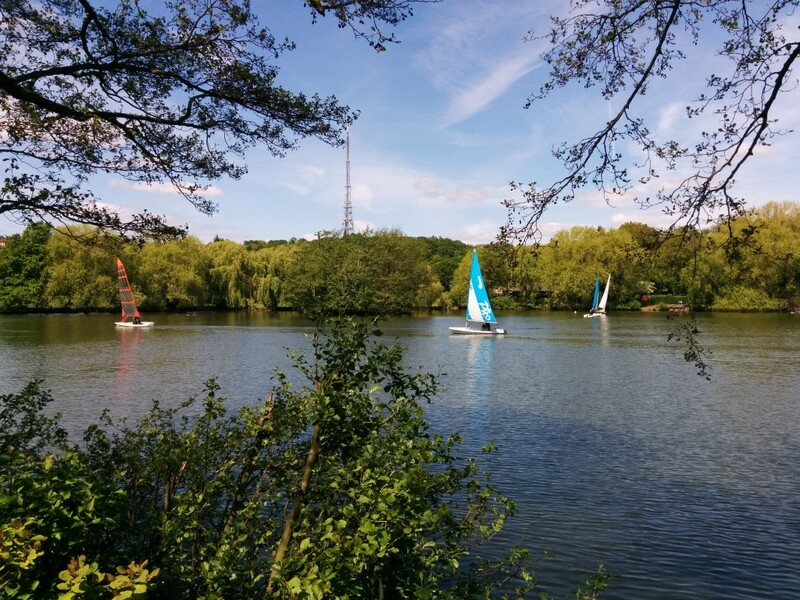 Yet again, when the Club opened its gates and launched club boats for free taster sails, there was no shortage of beginners wanting to take to the water. 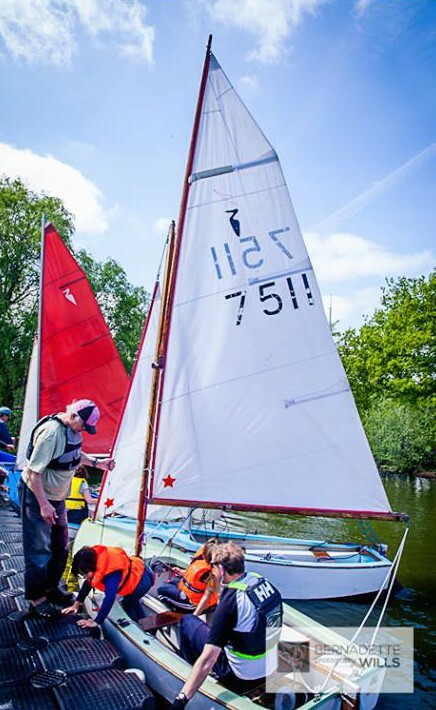 Numbers taken for a short sail were 135 and the Club hopes the experience has generated an interest in sailing for all those who participated. Don’t forget that due to a Level 1 training course this weekend, racing has moved to bank holiday Monday, 25 May, instead. 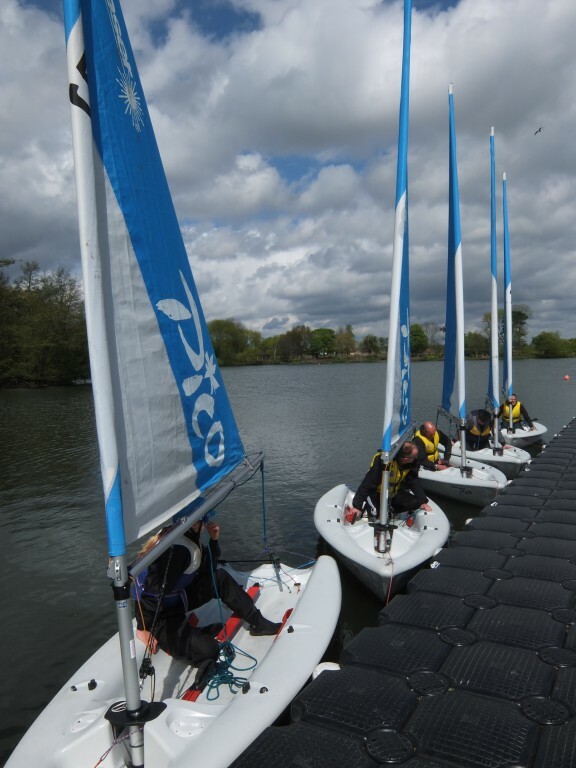 Last Bank Holiday weekend the club trained 6 new sailors on the lake over 2 days in very windy and gusty conditions. 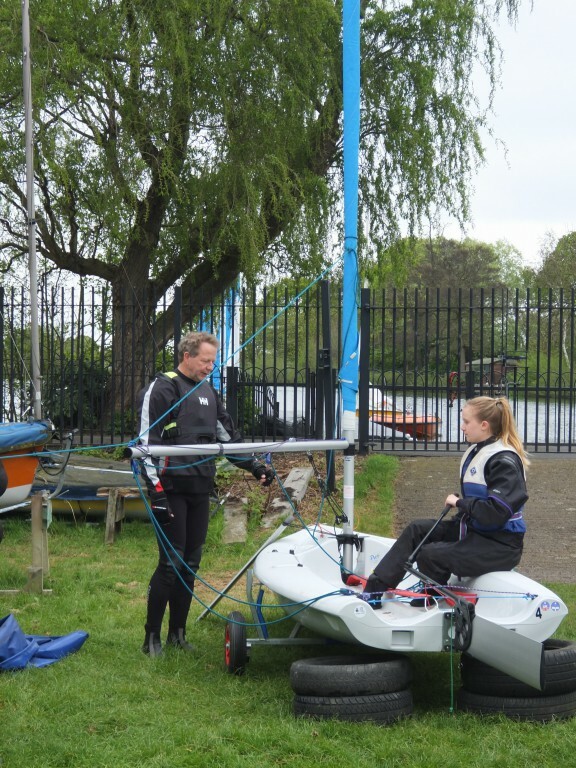 All six students were keen to give their new skills a go out on the water. ” Super course, well organised – I learnt a lot “, was the feedback from one student. ” A warm welcome, from the club and enthusiastic support when students are wavering. Clear practical instruction in the theory section followed by simulation exercises was a great help. To be recommended”, a quote from another student beginner. on the course.